Are you on Team Mario or Team Luigi? The big first-party release for the month of June is the slice-and-dice court-based drama of Mario Tennis Aces. The latest smash hit from the Big N brings back the much-missed Story mode, adds in some explosive arcade moves for blistering offence and rock-solid defence, and all the characters and costumes you could possibly want in a tennis game. And just in time for Wimbledon 2018 in the summer! To celebrate the launch of the game, the Nintendo Official UK Store is bundling in a snazzy visor when you pre-order the game. 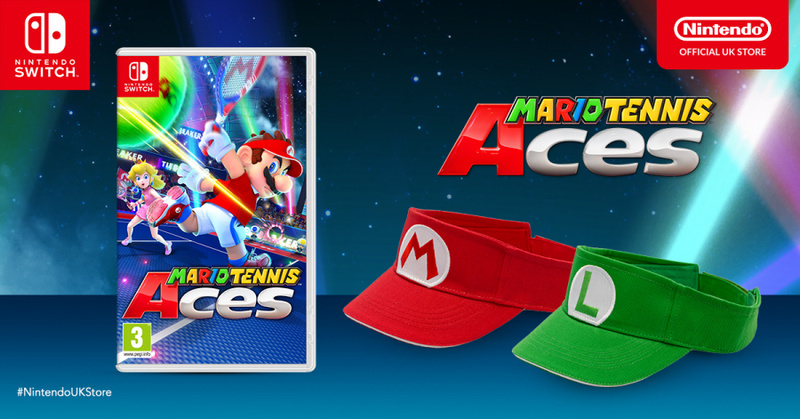 You can get the visor in a Mario theme or a Luigi theme, so pick a side and prepare to look cool by the tennis court this Summer. 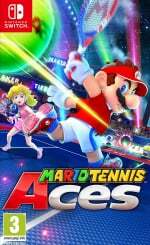 Will you be picking up Mario Tennis Aces when it lands on the Switch on 22nd June? Could be a good game. Not a sports fan, but some of the Mario sport games are fun. Will wait for more gameplay videos and reviews before buying. I see your ads for Mario Tennis including the Visor. You could say you are a Mario Tennis advisor. Can't wait to not wear this visor. High hopes for the game though! @1UP_MARIO Same. I used to shop at Game exclusively for this kind of thing, but since they slap another £5 on top of their online prices at retail I have since boycotted them and preordered everything on Amazon. I’m of the days when independent game retailers were rife, and to see this vampiric entity dominate the physical retail space is depressing. I’ll never forget picking up the Japanese version of Final Fight One from my local store, they were some great times. I’m looking forward to this game, it’s been a while since I purchased a sports title (not sure if WWE counts). Although this isn't a title I was interested in anyway, Nintendo UK Store have a habit of adding some additional tat like a mug, plush hat or pinbadge set with their game, at an additional cost over something like Amazon or other retailers. It's often discouraging from shopping there if I don't want the tat, sometimes I do but not always. i guess this is Marvel Studios' Super Mario: Civil War. Before that it was Twilight, Team Edward or some nonsense. At least hyrule warriors co.es with an awesome rupee light! Forgot this was coming out next month! Anywho! I do like the visors, but the price on Amazon is more appealing. @1UP_MARIO wouldn't your Amazon preorder literally be 1p more than smyths?? Its £40, plus the £2 off preorder bonus...? I’m excited for this game! Somehow, both Mario & Luigi looked more Handsome with Tennis outfits & Tennis visor. Their new outfits looked great. When I saw "court-based drama" I immediately wanted a Phoenix Wright game on Switch. For now though Mario Tennis will have to do. @MonkiPlays Because they never want to spoil Nintendo of America customers.